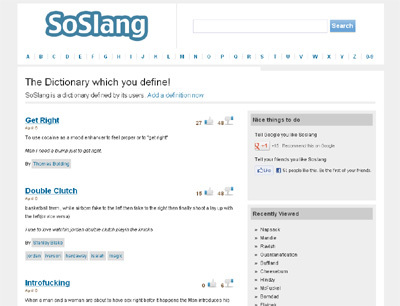 So Slang is an un-complicated online slang dictionary which is contributed and edited by thousands of people online just like you. Unlike formal dictionaries, you can add your own meaning to millions of words. With more than 6 million definitions, So Slang is the biggest hub for street definitions of each and every word in the dictionary. These definitions are added by people all over the world wide web.